There are many people who don't know how to use the internet properly. Some of them are new to the internet, they are too young. If you consider my country India. There are many remote places where the internet is available just for Mukesh Ambani's Jio and the availability of low budget smartphones. They are trying to surf the internet, but doesn't have a clear idea about how to use or where can they get the best resource. Same for senior citizens, like my mum and dad. My PC has been used since last 11 years and still now. But they don't know how to operate a computer. At least they should learn some basic things about computer and internet. Dad knows a little, but mum has no idea. She even does not know how to shutdown a computer. There are many people like them. I will say, you don't have to be tech savvy person. Just learn the basic thing to operate a computer. When I was in class 12, there were only 4-5 students were on Facebook. And now? Even class 4-5th grade student has a Facebook account. Not only them, but their brother, sister, their parents, their uncle aunty, neighbors all are on Facebook. It is true that Facebook is for all, it doesn't have upper age limit. But when I see the 62 years old uncle on Facebook, I think how it will be when he gets his reaction when he will see my private party pictures? It will be like- "Oh, I don't think him like this. So nasty pic, culture-less" and all. It is very normal. So why would I allow all people to see my stuff? So here is an option on Facebook where you can select from your friend-list- whom you want to allow to see your picture and whom you not. Anyway, 62 years old people in Facebook is odd to me because most of them have a good idea about the internet and use Facebook only as they heard it is an interesting thing. According to me, first, learn the basic knowledge about computer and then go on Facebook. When you use smartphone, tablet or desktop, then I think you have a basic idea of a computer. It is a very simple process. Input- Processing- Output. There are some memory units like a "Bit". Bit is the smallest memory unit. 8 Bit equals to 1 Bite. 1024 Bites equals to 1 Megabyte. 1024 Megabytes equal to 1 Gigabyte etc. I don't want to discuss more. If you still need some more information about basic computer knowledge, you can check this. Now internet. Who use smartphone or tablet for internet surfing- you probably use 3G/4G or Wifi connection. And who use the internet in desktop or laptop probably use dongle modem. Otherwise Ethernet cable. I use Ethernet cable from a broadband service. And it gives 5 Mbps download speed with unlimited download. If you are from Tier 1 country (USA, UK, Australia, Canada, Germany, France), you will get better speed. If you want to know your connection's download and upload speed, then open speed Ookla. And click start to check the result. Here is my result. Take a look. Now there are two terms. Web browser and search engine. A web browser is an application which allows you to surf the internet. Internet Explorer is the default web browser for Windows, whereas Opera is the default web browser for Yosemite (Apple). Internet Explorer is a little bit slow. I will recommend you to use Mozilla Firefox or Google Chrome for better browsing experience. A search engine is a program or algorithm which will provide you with the best data available on the web related to your query. Google is the best search engine, and it is often called the search engine giant. Apart from that- Bing, Yahoo, Baidu are also good. Bing uses old people and chrome uses all. 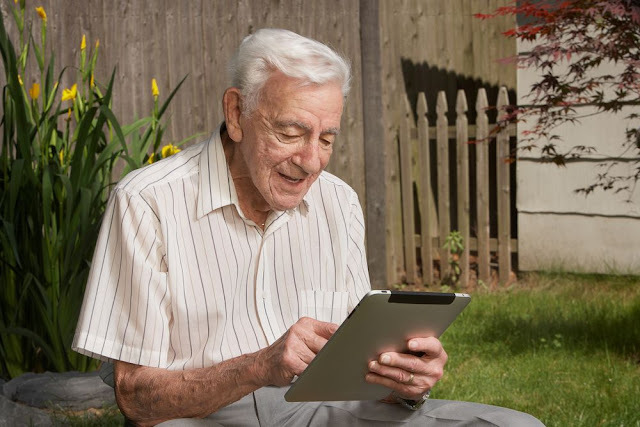 Why has Bing been used by older people? Well, generally older people are not tech savvy. When they install windows, internet explorer is their default browser, and the homepage is Bing search engine. They don't know how to change the homepage. So most of them use Bing. But if you compare the search result quality among them, Google is far away better than Bing and yahoo. When you use internet explorer (because you have no more browser), go to the address bar. Type https://www.google.com; then hit enter. You will reach to google's home page. Now the better way is to download Google Chrome and Mozilla Firefox from the internet. Go to Filehippo or search like- "Google Chrome Filehippo" or "Mozilla Firefox Filehippo" and download it. Not only these, but you can also download almost all software (legal version) from Filehippo. Install it. Then open one of them. I personally prefer google chrome over Mozilla Firefox. Open Chrome and type https://www.google.com. Now you are on the homepage of Google. The options are at the top right side. Go for sign in option. If you already have a Gmail id then sign in otherwise, you have to create a new account. It's very easy and takes less than 2 minutes. Remember always; Google is very much user-friendly. So you don't not have to be nervous. Just follow the instructions. Suppose you have a picture and you want a better version of it, better dimension of it. Then search by images. 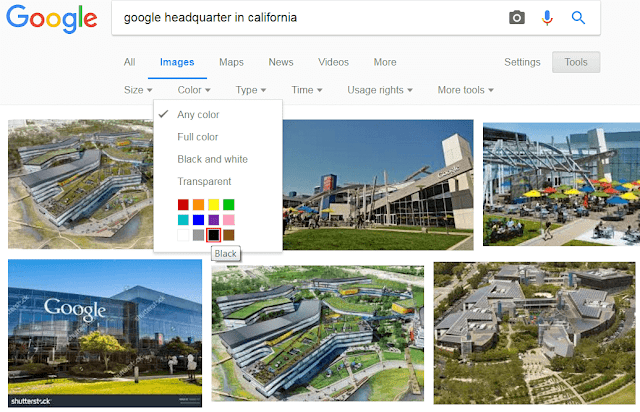 It will help you to find the similar image in different dimensions from all over the web. It will also help bloggers to get a backlink. How? Suppose you have created an excellent infographic for your blog. But it can be copied by someone easily without giving you proper credit. Then just use the image and search for images. You will find all the blogs where the infographic has been copied. Just write an email to the webmaster claiming that you are the creator of that infographic and he must give you credit as a backlink otherwise you will go to file a DMCA complaint. He will surely give you cause who wants to take such headache? 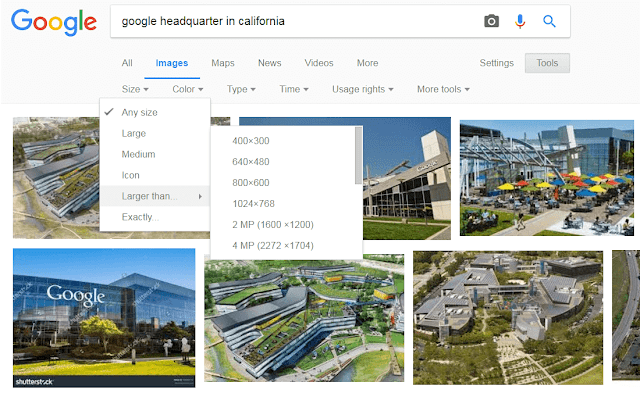 You can get many types of results from Google web search. Suppose you need a mathematical calculation and you have no calculator nearby. 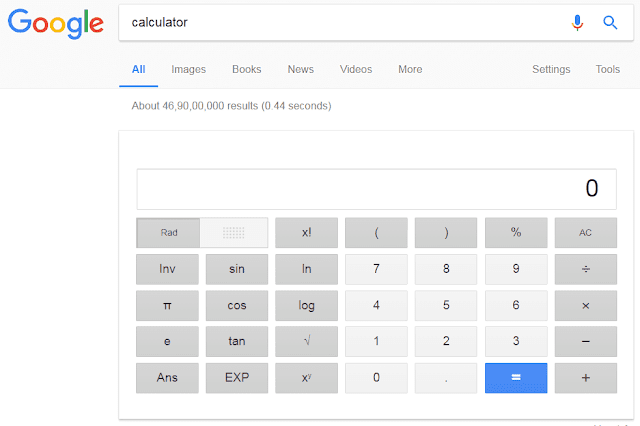 Just go to google and type calculator and hit enter. The calculator will appear. If you need any type of converter, you will find here. Like a few days ago I was looking for a car. The car dimension was in mm. But I need that in feet. Just type mm into feet. You can now put the mm value and get the foot value in no time. You can do currency conversion too. Being an internet marketer, sometimes we need to convert currencies. Like I want to buy a backlink service from Fiverr worth 180 dollars. But as my Bank is an Indian bank, so currencies are shown in rupees. Then I use the same method. Use "USD to INR" and get the value. You will also get live or old match score. Like a few days ago there was a derby between Real Madrid and Barcelona. 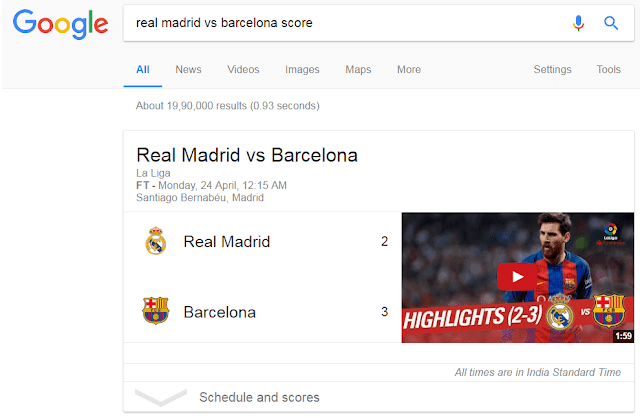 If you search "Real Madrid vs. Barcelona score", you will get the result like this. One more innovative change has been done by Google, is rich snippet result on the top of search results. 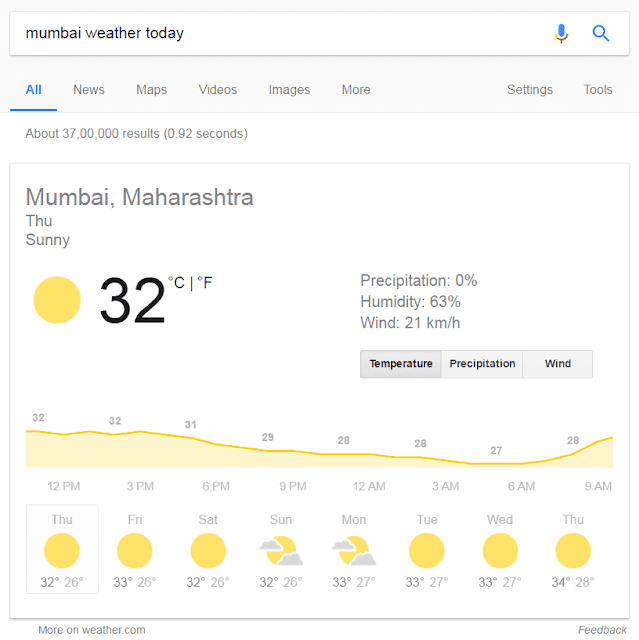 It is basically the best result selected by Google algorithm shows on the top to save user's time. Just like if you search for benefits of drinking coffee, you will get a result like this, I wrote an article on rich snippet result. Take a look. You can search for weather, sunrise, the sunset of a place. Like Mumbai weather today, or Mumbai sunset today. 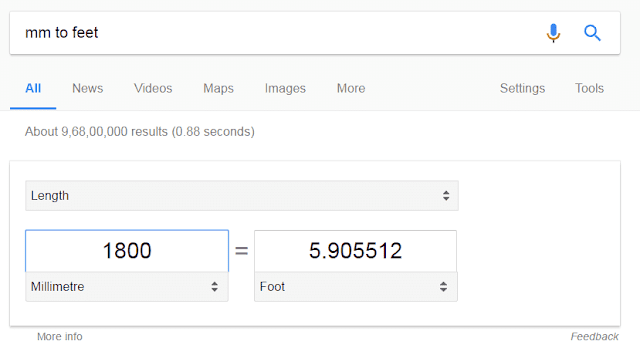 Google search also works like a dictionary. You will find any word's synonyms, antonyms here. Just like a word- Arbitrage. Check its details. 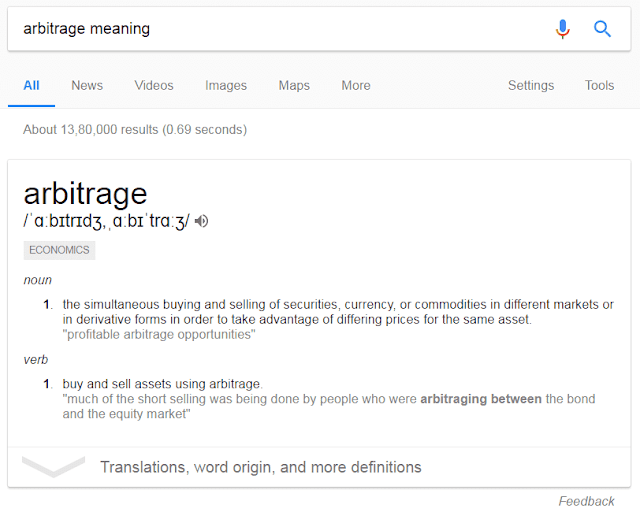 Search arbitrage meaning. Google's map is also an interesting feature. You can even see your house in it. Just type your location. You can see it in both street view or satellite mode. Apart from this, you can do a normal google search. Type your query and hit enter. Each page consists ten results. The top most result is the most relevant and important among all. It is always preferable to check authority sites first. I mean if you search for a query and get any result from authority sites, don't forget to check it. Here are some authority sites of technology, you can subscribe and follow them as well. Gizmodo, Copyblogger, TechCrunch, CNet, TechRadar, mashable, CHIP, Digit, Engadget, etc. 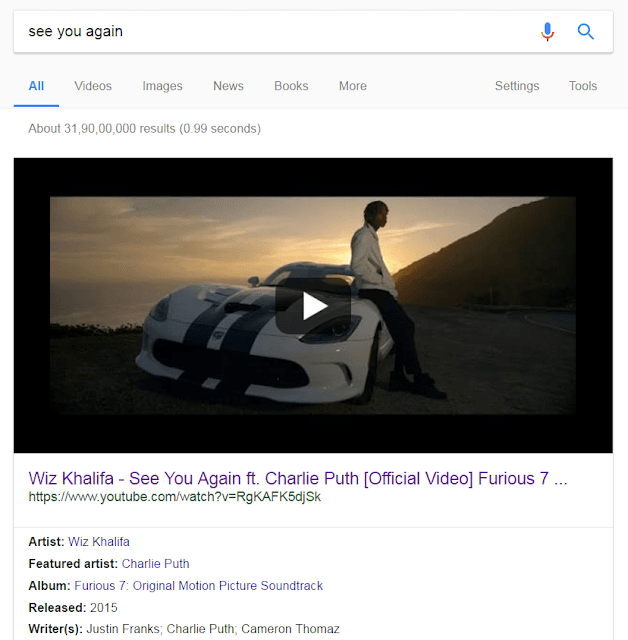 If you need a lyrics of a song, just search in google like- "See You Again" lyrics. You will get the lyrics in rich snippet mode. If you only type see you again, the official YouTube video will appear. YouTube is a great site for watching videos. Not only that it is considered as the second largest search engine. You can get any type of video here. If you need a song video, you will get. If you need a dance choreography, you will get. If you need food recipe like the cheeseburger, you will get that also. Sometimes YouTube creates problems like slow buffering. If you think your internet bandwidth is enough, still YouTube is slow, here is the tutorial for you to increase YouTube video loading speed. The Internet is probably the best way for shopping, as you can get products at the cheapest rate. Amazon and Flipkart are two leading e-commerce site in India. You can buy almost all products from here. Don't be tensed; they will take all the responsibility to keep your data protected. If you are looking for clothes, then Myntra is the best option. I buy products frequently from these three sites, and I'm very much satisfied. You can store your important files in online storage, which is called "Cloud Storage". It is a virtual storage device. There are many cloud storage sites are available in online. For example, iCloud Drive, Google Drive, Dropbox, etc. I use the first two every day. Suppose, you have some important files, you need to access that from anywhere. You can upload the files to any of those storage devices. If your file deletes from your smartphone or laptop or desktop, you can download it from cloud anytime. The storage limit is up to 5 GB for free of cost. For more storage space, you have to pay. Need information about anything? Then Wikipedia is there for you. You will get details information from here. From movie stars to political figures, from Bill & Melinda Gates Foundation to Red Cross, everything you will find with a detailed description with reference. If you need information only on movies, the IMDB (Internet Movie DataBase) is for you. You will get the plot, casts and crews, movie rating along with movie review. If you need any "how to" solution, then WikiHow is the best option for you. You will get step by step guide for any problem, like how to make pizza. That guidance is very user-friendly, and you can do that easily. You can book railway ticket from online. Just go to IRCTC ( Indian Railway Catering and Tourism Corporation) and book your ticket. You can also check your PNR status as well. Cricbuzz is another important site especially if you are a cricket lover. You can get all IPL match's live score from here. PayTM is an excellent site/app for cashless money transaction. If you have to feel trouble to recharge your mobile at 12 pm night, no need to worry PayTM is here for you. It is very much user-friendly. Just add money to the wallet. Enter your mobile number and recharge amount. Then click on "Proceed To Pay". It is so simple. Sometimes some questions have been stroked our minds, how can I get the answer? Quora is there for you. 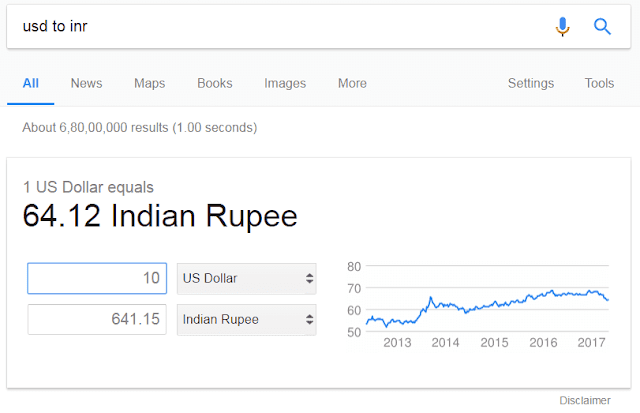 You can get any type of queries like- what would happen if 1 Dollar equals to 1 Rupee? You will get your answer from experts. Alternatively, you can throw your question also. The last site I want to mention is Twitter, one of the popular social networking sites where you can get all updates from your favorite celebrities as well as from your friends. The most interesting part is that you can even get a reply from superstars like Shah Rukh Khan also if they think your question should be answered. So this is the basic guide of internet surfing. If you have any more question related this, feel free to ask me here. Just do drop a comment below the box. Alternatively, you can contact me via Twitter or Facebook. If you have any more suggestions to add this article, share here. I would like to hear this from you. If you really like this post, then please share it with your friends via social networks like Facebook, Google Plus, Twitter, LinkedIn and much more. No more today. Take care. Have a nice day.